Well, the Oculus Rift DK2 showed up in the mail yesterday. The box came in at just under 6 pounds. Power Adapter and multiple international adapters – I’m currently not using. Lens cleaning cloth – The most useful item so far. The physical installation was pretty straight forward. Plug the PT cable (looks like an audio cable) into the side of the PT and then into the box on the HMD cables. The physical installation of the Oculus Rift DK2 is complete. A few notes. We discovered that, by habit, we kept trying to put the Oculus HMD on like you would a baseball cap. IE hook on the back of the head and pull it down onto your face. We would then need to take it off and clean the forehead oil off of the lenses. We’re still working on the best way to put it on, but so far it’s putting it up against your eyes with one hand and pulling the straps down the back of your head with the other hand. This way you don’t put your forehead agains the lenses. 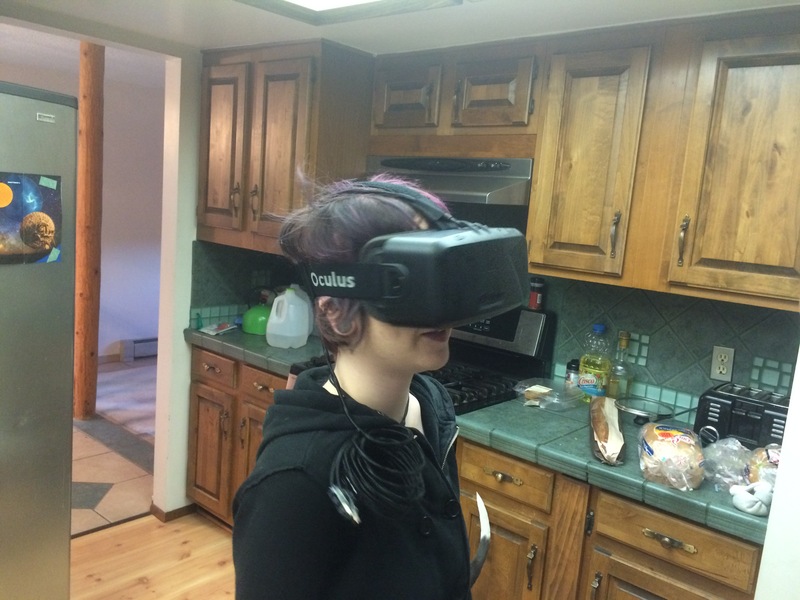 Megan initially trying the Oculus Rift DK2 on. 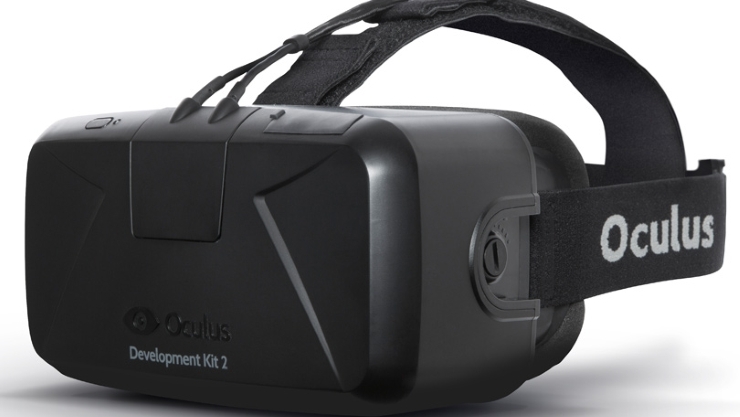 Here is the initial unboxing of the Oculus Rift DK2.